I sat down with orthopedic surgeon Dr. Mark Casillas to discuss how he uses Mobius Clinic at his medical practice in San Antonio. This is the final of three posts that tell the story of how a suite of software applications helped one physician make their practice more successful, efficient and fulfilling. “You can’t put a dollar sign on everything,” Dr. Casillas tells me. That’s the simple take-away behind the success of a popular orthopedic surgery practice in San Antonio, Texas. When we talk about efficiency in healthcare, Dr. Casillas is thinking about more than the number of patients he sees in an hour. Mobius Clinic is an mHealth software suite that allows clinical providers to be more efficient with documentation, task management and patient care. For example, Mobius’ automated vitals collection saves one pediatrician 400 minutes each week while eliminating transcription errors. But Mobius also creates value that isn’t as easy to quantify. Efficient task management helps staff feel organized and accomplished. Better documentation speeds reimbursements. Patients see that their doctor has embraced technology to their benefit. These are the hard-to-measure values of using Mobius Clinic. For a small independent surgery practice, there’s no easy metric to quantify this value. But Dr. Casillas can tell that recording patient data in the EMR neatly and in a way that’s easily retrieved increases how often insurance companies authorize the procedures he orders. Smartphones powered by Mobius Clinic are valuable clinical tools at Dr. Casillas’ practice. Imagine watching your physician dictate medical notes in real time or explain your injury by pulling up a scan of your X-ray film on their iPad. Consider a doctor who sends follow-up medical literature to your email while you’re still in the exam room. 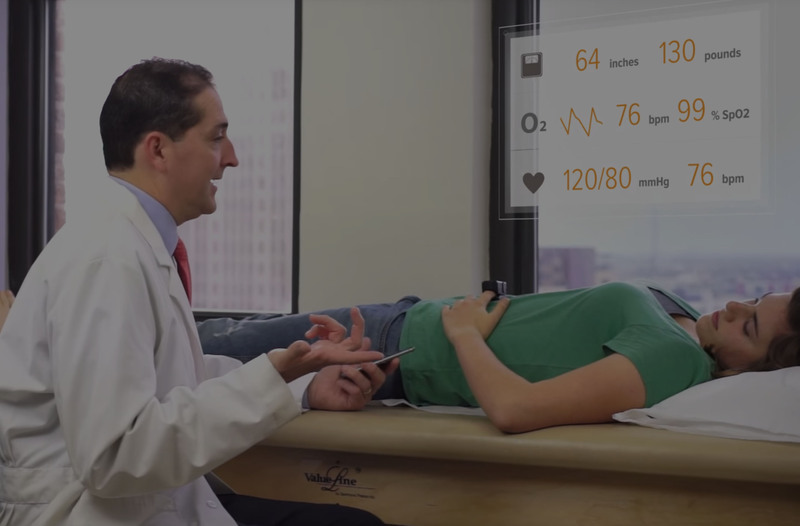 Mobius Clinic isn’t about wowing patients with gimmicky tech solutions. For Dr. Casillas, it’s a display of the values that drive his ambition to create a successful and respected practice – one that people travel to from all over South Texas. Want to know more about how physicians use Mobius Clinic in practice? Check out our previous posts – Building and efficient medical practice with Mobius Clinic and Mobius Capture: The value of clinical documentation with images.